Material: Side parts: 95% polyester, 5% elastane. Front/back: 95% polyester, 5% elastane. 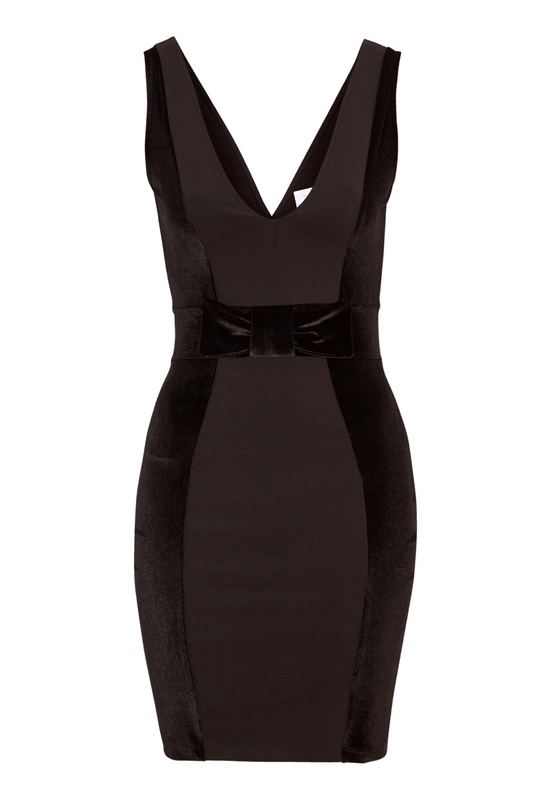 Figure-hugging tricot dress with velvet details from CHIARA FORTHI. The dress has a plunging neckline at both the front and back. - Decorative velvet bow at the waist provides a pretty extra detail. Total length of the garment in size S: 89 cm.